Christmas is nearly upon us, which means most of us are in gift mode: brainstorming, shopping, listing, and bargain hunting. I figure everybody likes to eat, so I think a good strategy for gift giving is food. 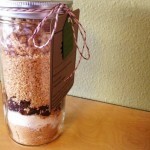 Last year I decided to make homemade gifts; specifically healthy, homemade, edible gifts in a jar. I had to wait until this year to share them with you, of course, so I didn’t tip off any of my recipients before the unwrapping! 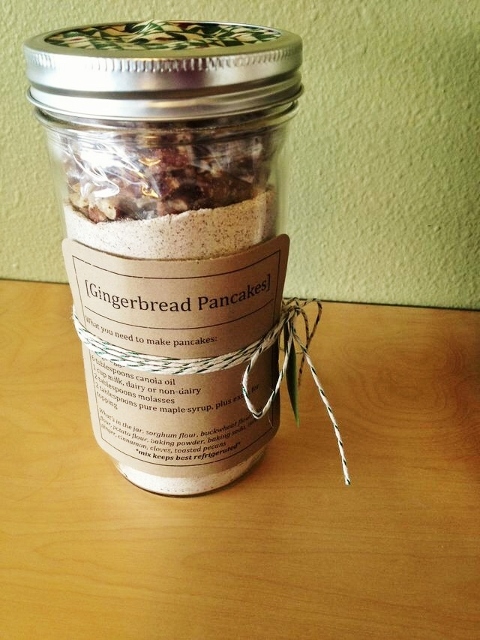 First I made a mix for Gingerbread Pancakes from The Spicy RD Blog. You’d never know they were gluten free. Buckwheat flour, cinnamon, ginger, delicious. Assuming 2 pancakes per serving (made with soymilk) here are the nutrition facts: Calories 310, Fat 15 g, Saturated Fat 1.5 g, Carbohydrate 40 g, Sugar 8 g, Sodium 460 mg, Fiber 3 g, Protein 7 g, Cholesterol 55 mg. And this mix keeps best refrigerated. Then I decided I wanted some other choices. 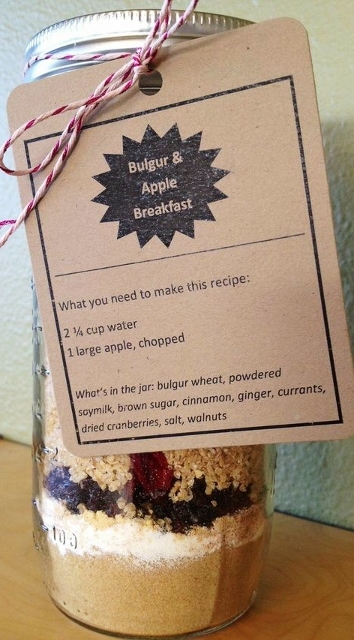 The standard of course is cookies in a jar, or baking mixes, but what about other breakfast ideas or dinner in a jar? After a bit of trial and error I ended up modifying a couple of my favorite recipes and packed all the dry ingredients in my beloved pint and a half mason jars. I printed the labels on craft paper and decorated the jars with twine and colorful Christmas fabric. The first one was a typical winter breakfast for us, adapted from the Oregon Dietetic Association’s cookbook, Tastefully Oregon. It’s a great option for hot cereal in the morning if you want to mix up your oatmeal routine. Once you’re done cooking, it’s pretty handy to store the leftovers in the jar…like the extra pancake batter or hot cereal. Who doesn’t love that? 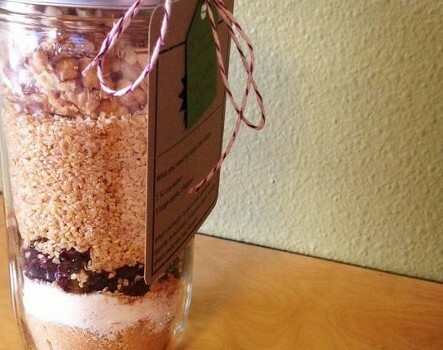 Layer the ingredients in the jar and put the lid and screw band on. Empty contents of jar into pan, cover, reduce heat, and simmer for 10-15 minutes or until water is absorbed, stirring occasionally. Stir in walnuts and diced apple and serve. 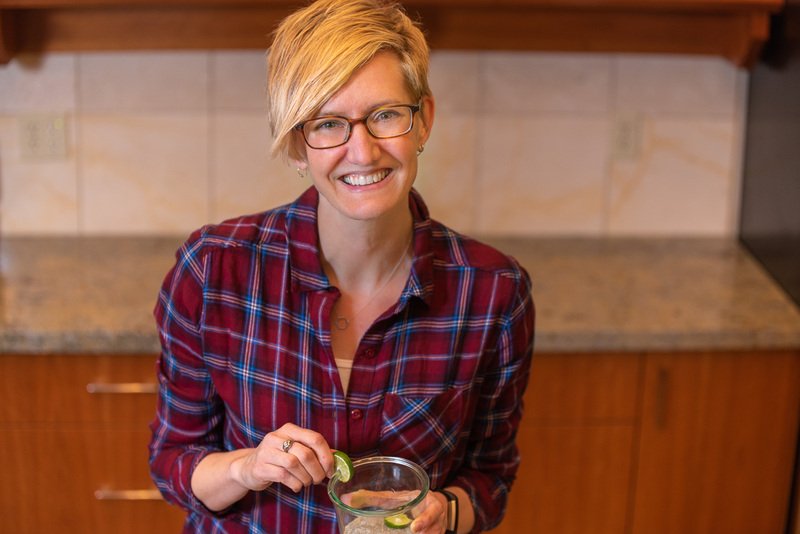 The recipe is adapted from Bulgur and Apples, courtesy of Charlotte Hennessy R.D. 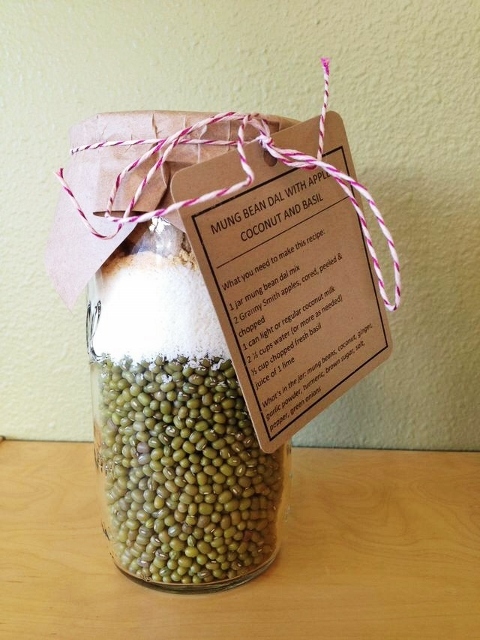 from Oregon Dietetic Association Tastefully Oregon cookbook. And prep time and cook time listed are for when the recipe gets cooked, so doesn't include the fun part of actually filling the jars. The second is an easy one-pot dinner recipe that we rely on an awful lot. It’s an extremely flavorful and hearty bean dish adapted from Mark Bittman’s Mung Bean Dal with Apples, Coconut and Mint. You can find the original recipe in his book (or app) called How to Cook Everything Vegetarian. Empty contents of jar into large pot. Add apples, coconut milk, and water. Simmer for 50-60 minutes or until beans are tender, stirring occasionally and adding more water as needed. Stir in basil and lime juice and serve. Delicious with rice or Indian flat bread like naan, roti, or chapati. This recipe is adapted from Mark Bittman's Mung Bean Dal with Apples, Coconut and Mint from his book How To Cook Everything Vegetarian. And prep time and cook time listed are for when the recipe gets cooked, so doesn't include the fun part of actually filling the jars. What are your favorite food gifts, for giving or receiving?